Jay LeBlanc serves as the instructor of worship leadership and worship outreach coordinator at Huntington University. A graduate of Cedarville University and Liberty Baptist Theological Seminary, Jay is an accomplished musician as well as worship pastor. He has held leadership positions at churches in western Ohio and central Indiana. Along the way, he has instituted worship services and hosted concerts for touring Christian artists. He has also performed with Larnelle Harris twice, led worship at conferences, lectured and taught as an adjunct professor, published his own songs, and recorded a worship album. A worship pastor at White River Christian Church in Noblesville, Indiana, Jay lives in Noblesville with his wife and three daughters. 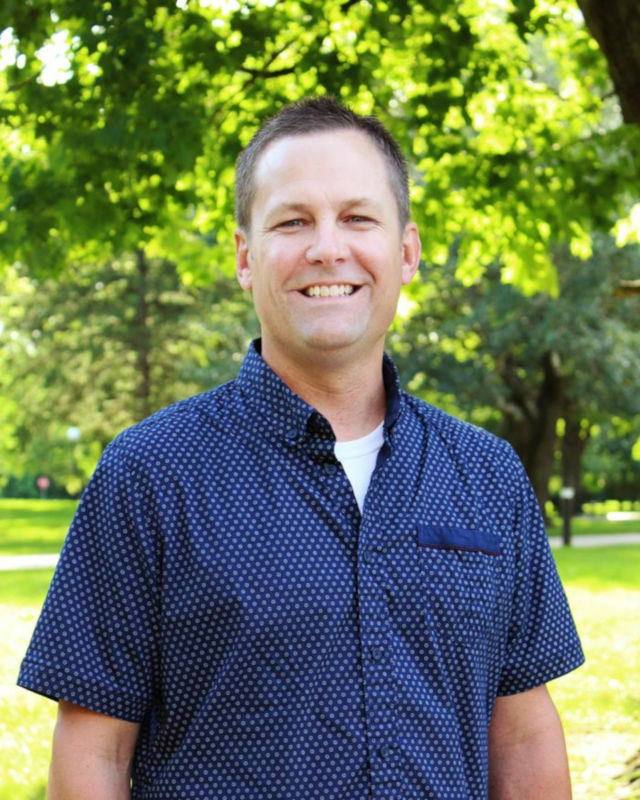 At Huntington University, he is responsible for teaching worship leadership classes, supervising and supporting Joyful Noise, and coordinating chapel worship.